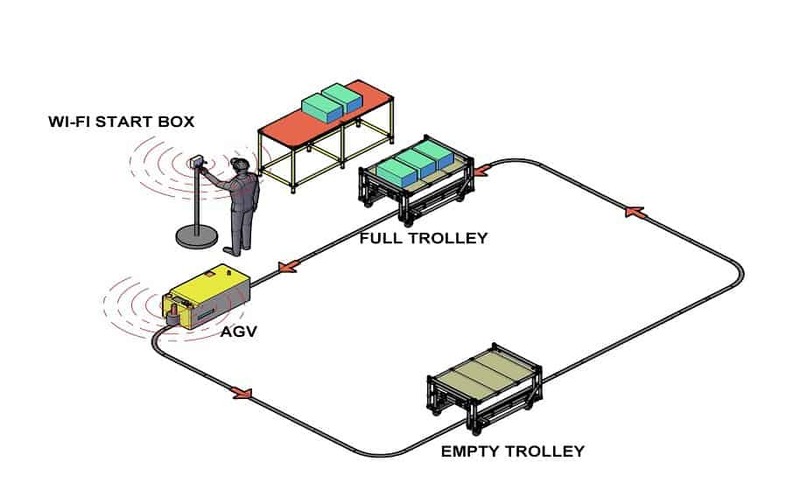 A range of accessories and options are available to enhance your INDEVA® AGV: power system, route & markers, communication & control and custom trolleys. Made with INDEVA Lean System® modular structure. Very useful accessory for changing batteries: the battery smoothly slides unto the AGV and from the AGV to the trolley by means of roller tracks. 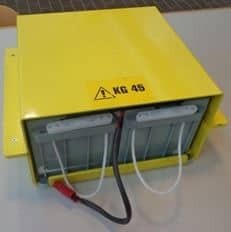 Spare standard batteries are available in 40A/h and 70A/h 24 volt DC. Batteries of different capacities are available on request. Each AGV crosses a charging point whilst travelling which helps to maintain the battery in a charged condition. 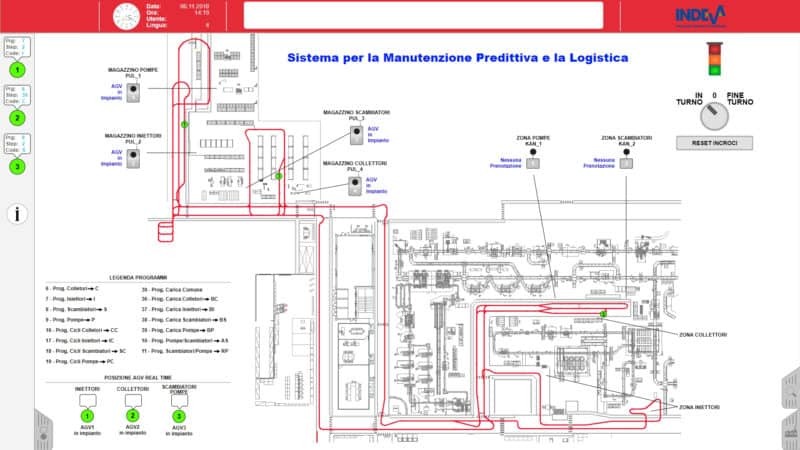 We design the route and lay the magnetic tape to your specific requirements. 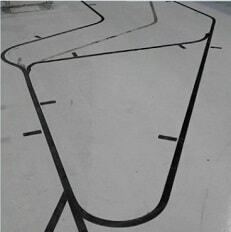 Glued or fixed with resin to the floor are the indicators where each AGV must stop to carry out a task. 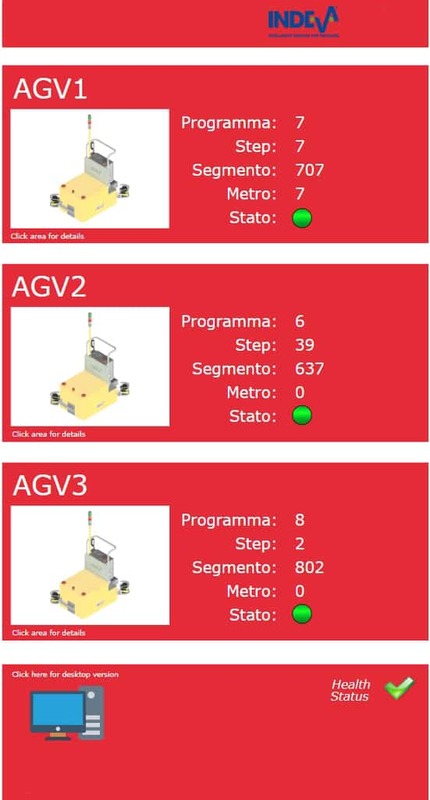 System for the univocal identification of position so that an AGV can be added to the route without any external input. 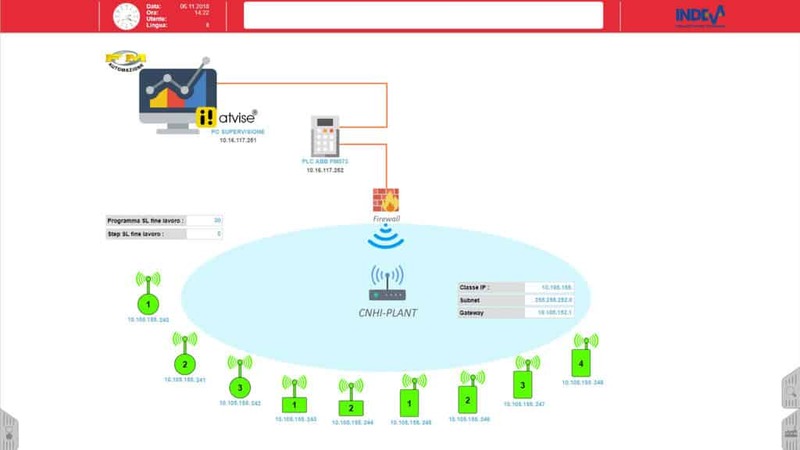 You can equip your AGV with a WI-FI card to allow it to communicate with other devices, for example other AGVs, to control crossings or Start-Box, etc.. 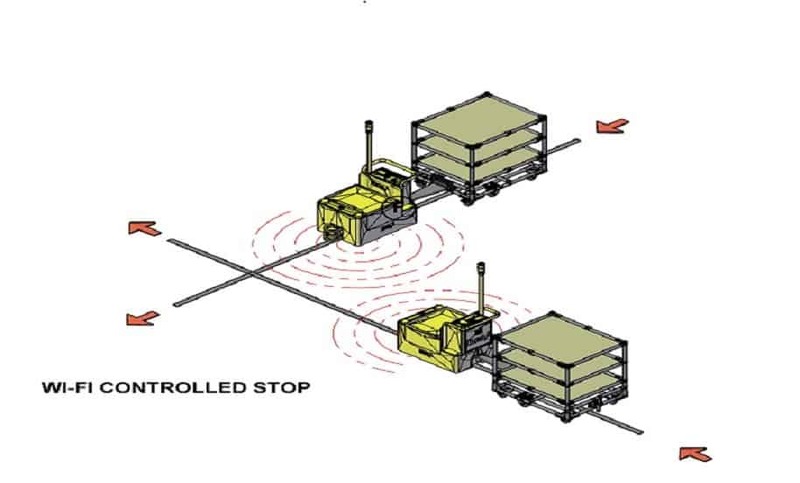 Remote Push Buttons allows to start AGVs by means of Wi-FI. 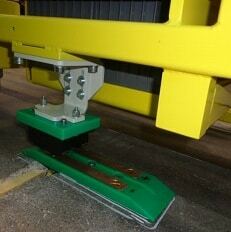 This device can be installed ne the operator, not on the AGV, in order to improve ergonomics for the operator. 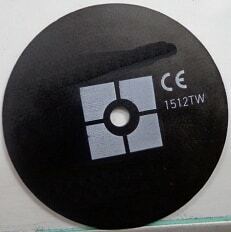 This accessory can be also used in order to interface an AGV with other machines on the line. 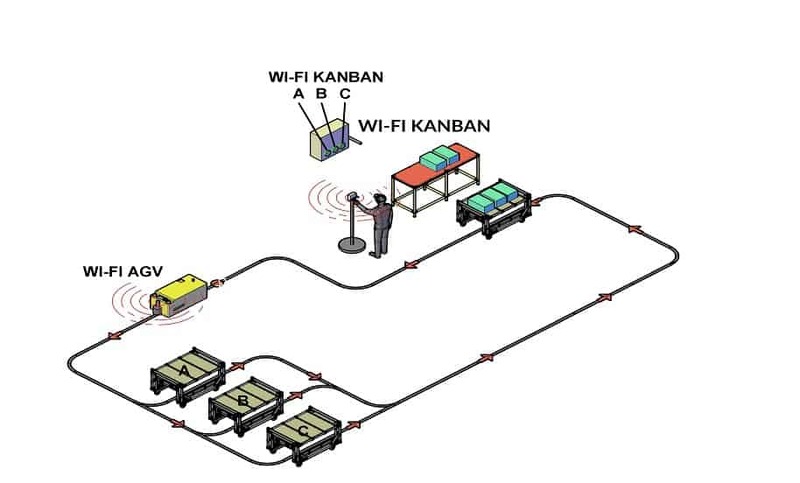 The Electronic Kanban System, using the wi-fi network, allows to assign one or more preset tasks to an AGV, by simply pressing the push button related to each task (e.g. 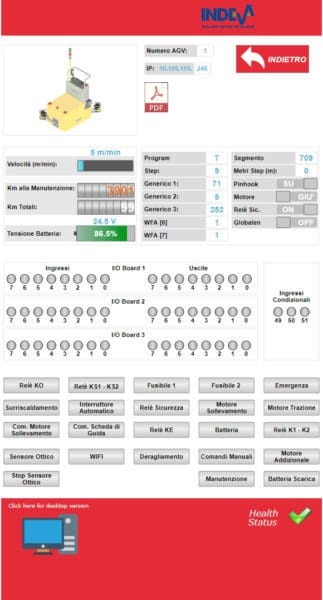 : in the drawing buttons marked “A” “B” “C”). 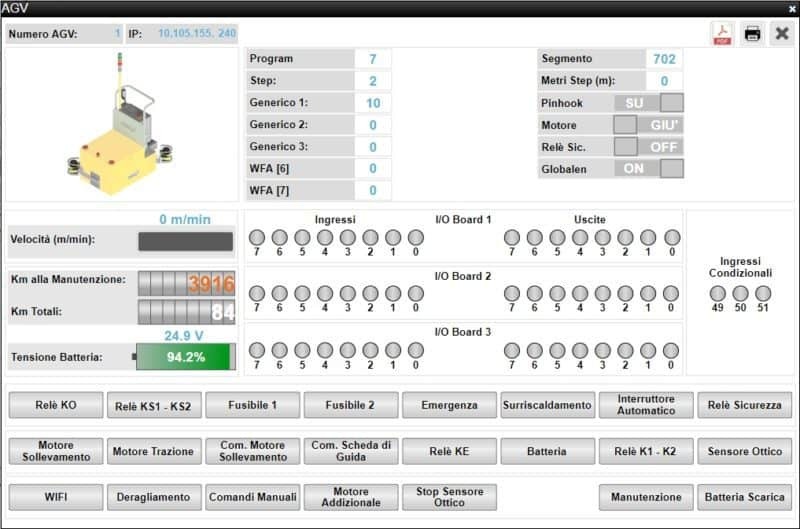 The bridge provides an interface between the AGV and the customer’s system (e.g. : roller conveyors, production lines, robot, etc..). 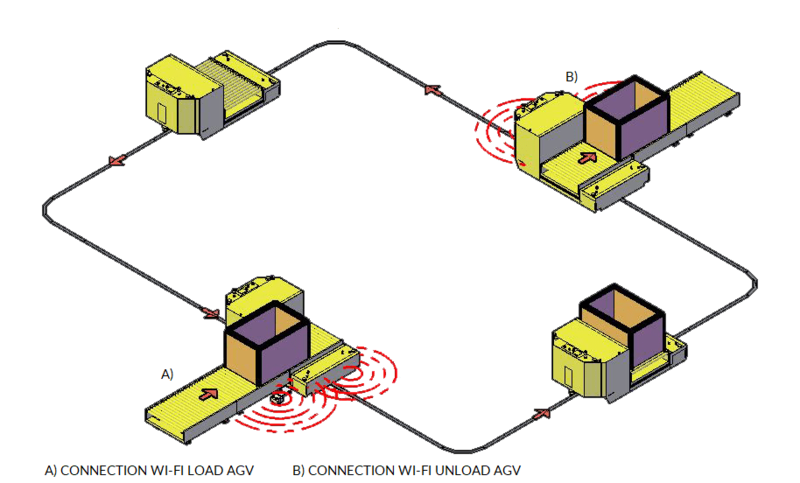 Communication of all data relative to the transfer of goods according to custom preset sequences occurs through the Wi-Fi network. 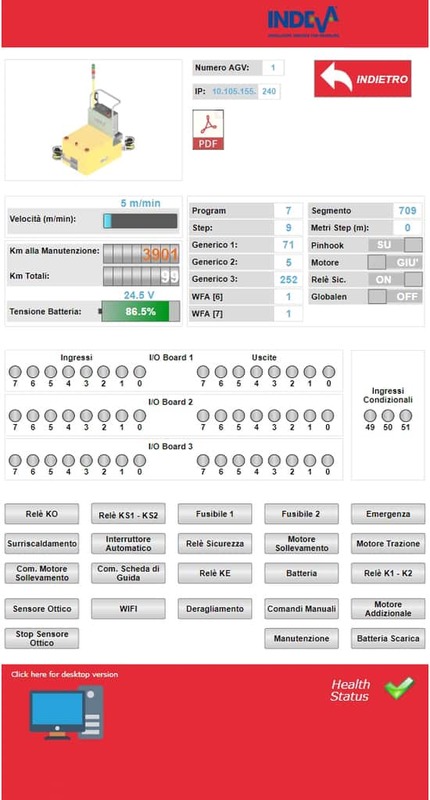 It is the brain interacting with all the vehicles in the entire system: it receives from the AGVs information on their position and work parameters and controls crossings and overall traffic flow. 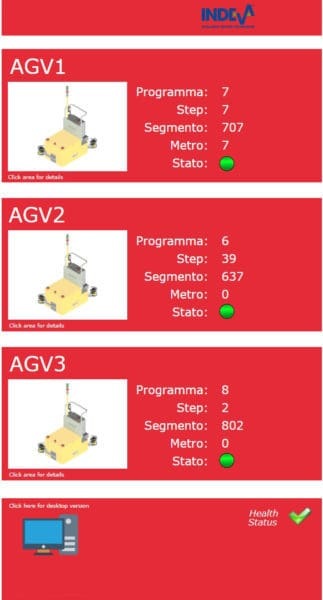 • informs about failure and position of the AGV in case of unplanned stop. 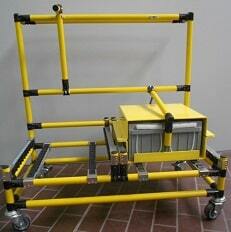 We can design and manufacture custom trolleys for the INDEVA® TUGGER and TUNNEL AGVs. 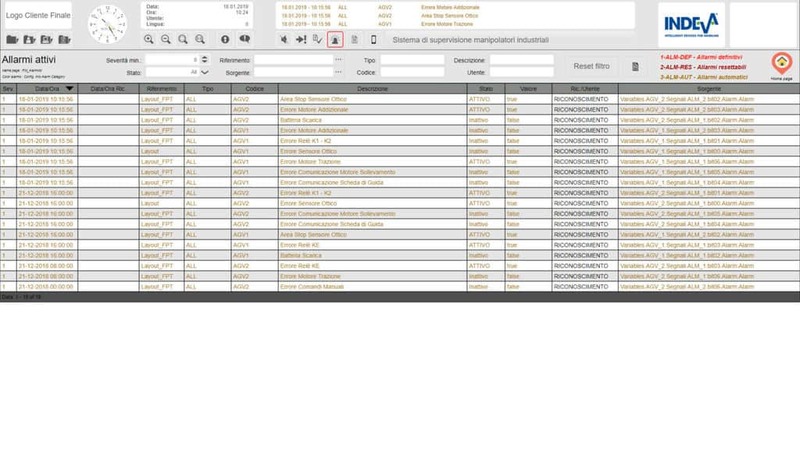 We can give guidance in the design and manufacture of the trolleys and the best system for the automatic loading/unloading of materials. 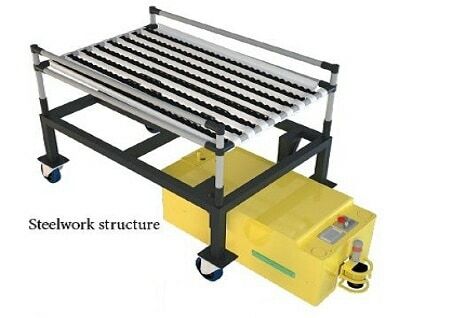 Custom trolley can be made with steelwork. 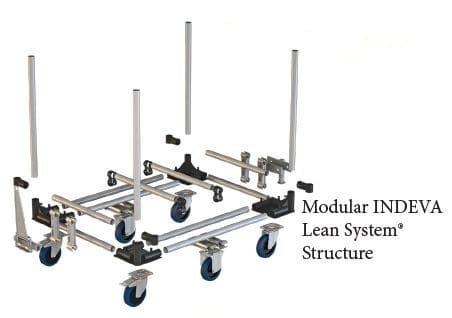 INDEVA® AGV trolley structure can be made with the modular pipes and joint INDEVA Lean System®. This allows to build it to your exact specifications, at a reduced cost.